Bingo Bytes Review | Get Your £30 Deposit Bonus Here! 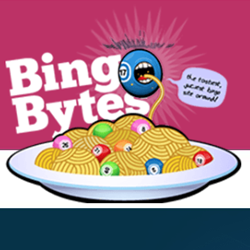 If you’re hungry for wins then Bingo Bytes could be the ideal site for you as they’re dishing out juicy jackpots right left and centre! The lobby is jam-packed with games offering you plenty of chances to win and there’s loads of free casino cash up for grabs to help you on your way. Best of all, they provide you with 7 days access to unlimited no deposit free bingo games, so you can get started without risking a single penny of your own cash! The welcome offer at Bingo Bytes is stacked with tasty bonuses. First up, there’s a week of no deposit free bingo for all new players. All you have to do is set up an account and then join the Newbie Room where you will be able to claim 12 tickets to every game! That’s already pretty generous but there are more bonuses coming your way when you start depositing. They kick the deposit bonuses off in style with a massive 300% on a first deposit then there’s a 150% bonus on a second deposit and last but not least they’ll match your third deposit by 100%. 550% bonus cash across your first three deposits. 7 days of risk-free bingo. Buy one get ticket get one free offers every day. One thing this site lacks is promotional codes but to be honest we prefer it this way because you can get straight to the free cash without the hassle of entering any codes. Bingo Bytes doesn’t have its own mobile app but that won’t make any odds to you because this site is mobile optimised. That means you can play your favourite games anywhere you go just by logging into the site via your browser on your tablet device or smartphone. Don’t worry you can use the same login details across multiple devices so you only need to sign up the once. Whether you’re a bingo purist or you like to mix things up a little bit there’s a huge amount of games for you to sink your teeth into at Bingo Bytes. They serve up an unbelievable selection of bingo games – in fact, you’ll struggle to find a site with a greater variety. Their rooms offer 90 ball, 80 ball, 75 ball and 30 ball games – do you believe us now? The ticket prices vary from game to game and there’s also plenty of freebies to take advantage of. As a mouth-watering side, there’s also a crazy amount of slot games for you to play. Try your luck on Lucky Devil, grab some wins on the Coffee House slot and satisfy your sugar cravings with Sugar Train. What’s super exciting about their selection of slot games is that among them you’ll find demo games where you can play for the free. The only downfall is that you can’t win any real money for them and there’s only a limited number of demo games available. Nonetheless, this offers you a great opportunity to get a feel for them before you start wagering your hard-earned cash. If you want to get your head into something a bit more strategic then you might want to check out the casino games available and there’s also a number of scratchcards on offer if it’s just a quick win you’re after. There’s a wide variety of bingo games on offer. They have a fully mobile optimised site. Any site on the Live Bingo Network gets the thumbs up from us! So, if you’re on the hunt for a new bingo site then sign up to Bingo Bytes today. With all the freebies that the site throws at you, it really can’t do any wrong. If you’re fed up spending an arm and a leg on bingo then this is a great way to save your pennies because you can have fun here without spending loads of money.